It is time for part 3 of my look at all the Disney Animated movies. Today I am also listing my ten favorite heroines, a list that was harder to make than the list of heroes simply because there are more good ones to choose from. 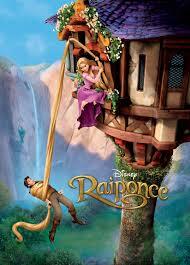 10: Rapunzel Tangled. She is often naive, but also forceful. She has something she wants and she isn’t going let her mother’s emotional manipulations or the dangers in front of her stop her. 9: Eilonwy The Black Cauldron. If shoe got more to do in her movie she would be even higher on the list. She is the one who actually begins Taran’s breakout from The Horned King’s castle. 8: Jane Porter Tarzan. She is charming and the intellectual impetuous for her groups journey to the jungle. 7: Esmerelda The Hunchback of Notre Dame. She gets big points for being basically the only decent person in the film. 6: Wendy Peter Pan. I really like how at the start she is the one clinging to her childhood, but her time in Neverland kind of proves to her that she is ready to leave it behind. She is already more grown up than she realizes. 5: Alice Alice in Wonderland. Her reactions to all the nonsense around her kind of makes the movie. She constantly goes from excited and interested in the strange goings on to fed up with how little sense everyone makes. 4: Megara Hercules. She appears cynical and tough, but not heartless. 3: Jasmine Aladdin. She is the only person not snowed by Aladdin’s Prince Ali act. She is hopeful and stubborn enough to not just give in to her Dad. 2: Belle Beauty and the Beast. She is both brave and smart, willing to sacrifice her freedom for her fathers, but not willing to give up the fight even after. 1: Mulan Mulan. She is one of the few Disney heroines that gets to do all the adventuring herself. Plus, she is legitimately awesome. I’m pretty happy with that list. There are a lot that I could have put on the list, and a lot of movement I could have made with the ones on it. I did tend to favor characters from the movies I already like. Fancy that, huh? 26: Tangled. Each of Disney’s 3D features has improved on the one before it. Chicken Little was awful, Meet the Robinsons was okay if uneven, and Bolt was actually kind of good. Tangled actually feels like a classic Disney movie. This is a film that would have fit right in in the Renaissance. My only real problem with it is that I didn’t care much for the songs. They aren’t bad, just not particularly memorable. 25: Fantasia. This is movie is in many ways an amazing film, but other than recognizing the artistry of its animation I don’t really care for it. Despite all of its real artistic achievement, it still has the pretensions of being more. Laudable as those pretensions are, it doesn’t make having Deems Taylor come in and explain how artistic and important each sequence is entertaining. Still, everyone should watch this at least once. 24: Emperor’s New Groove. This one is a pure comedy, and a good one. It is much like a saturday morning cartoon in some ways. 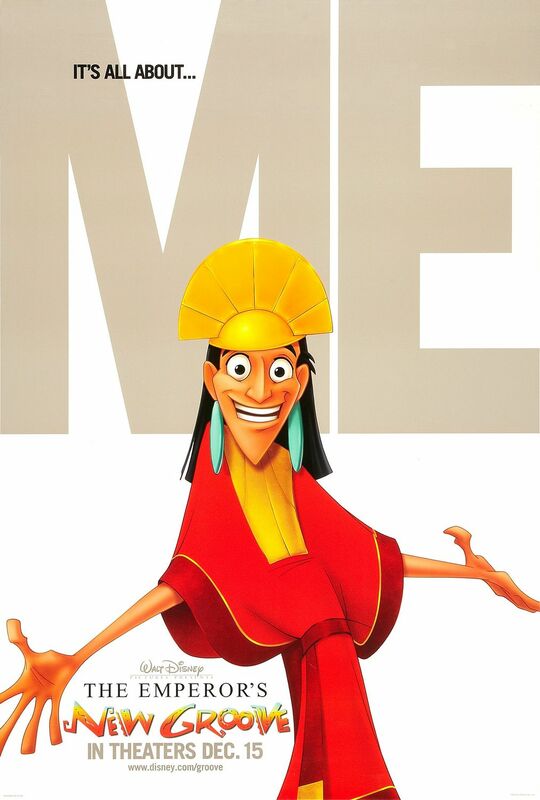 Kuzco starts from a place very far away from most of Disney protagonists, and his redemption is almost believable. Also, another great villain, with Yzma and her lackey Kronk stealing nearly all of their scenes. 23: One Hundred and One Dalmatians. This movie is a big change in the animation style from those before it. It doesn’t look quite as good, but I like it. I also like the villain. Cruella de Vil is one of the great villains, both cruel and petty. There are a lot more dogs that characterization, but Pongo and Perdita are well defined and interesting. At least until the movie forces them to disappear for big chunk. 22: Winnie the Pooh. 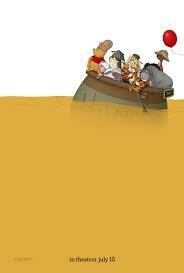 The second Winnie the Pooh movie is not as good as the first, but it is still very entertaining. What else is there to say? Its Winnie the Pooh. 21: The Jungle Book. There aren’t many songs in this movie, but the ones that are there are certainly memorable. 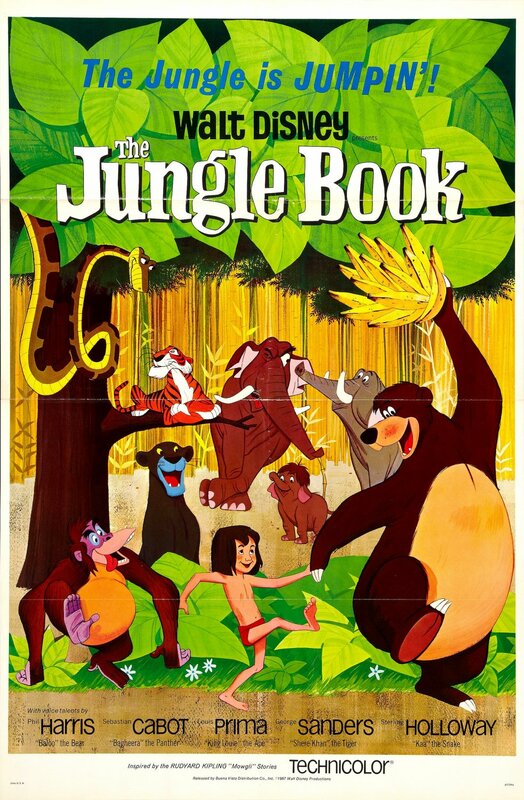 Just thinking about the movie makes me hum “Bear Necessities.” It’s characters are also very memorable, from the fun loving Baloo to the sneaky Kaa. 20: Pinocchio. 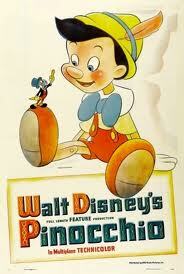 Pinocchio is kind of an awful little boy, and Jiminy Cricket is a useless conscience. The movie looks great, and there are a lot of great sequences. 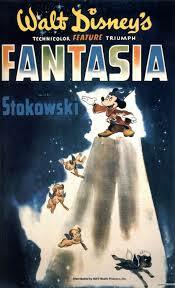 One could argue that this is one of Walt Disney’s absolute masterpieces, and I wouldn’t argue. I just don’t especially like it that much. 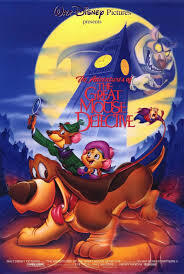 19: The Great Mouse Detective. Yet another movie with a standout villain. Ratigan is excellent. His transformation near the end, when he drops the cultured facade and becomes the monster that he is is downright frightening for a Disney movie. The rest of its not bad either. 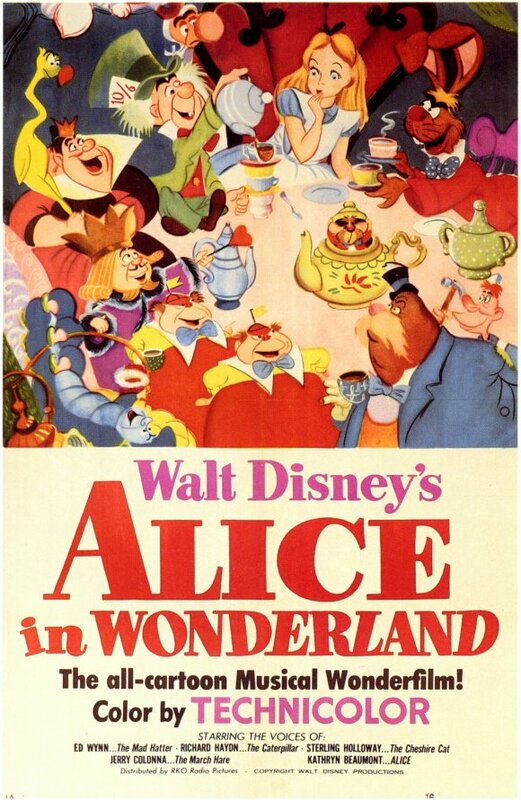 18: Alice in Wonderland. This is a hard film to critique since it is so forcefully absurd. As I said above, I really like Alice. She is alternately intrigued and annoyed by the nonsense of Wonderland. Really, this film is just delightfully weird. So many fun characters and scenes it is easy to forget that there really isn’t anything tying it all together. 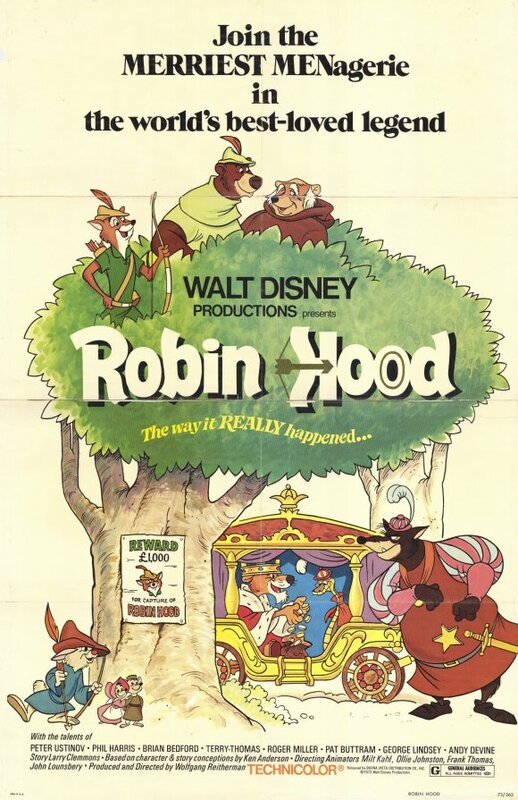 17: Robin Hood. This movie’s placement has a lot of nostalgia behind it. I’ll cop to it. I still think it is very good, but it was my second favorite as a child. It is hard to forget that. I’ve seen the videos online that show how much of its animation was lifted wholesale from previous Disney films. I don’t care. Robin is great, as is his camaraderie with Little John and his romance with Maid Marian. Robin Hood is character that is easy to get right. Unless you are Kevin Costner. Still, this one does it very right. They play Prince John as completely inept, which works since he has a couple of fun henchmen to play off of. Sir Hiss is great as his put upon advisor and the Sheriff of Nottingham is suitably intimidating when he needs to be. The more I think about it, the more I think I should have left this one higher. The next ten come tomorrow, along with my top 10 Disney villains.